The Lugh server in Celtic Heroes has a long, storied history filled with many heroes accomplishing wondrous deeds. This is the story of that world. In the beginning the old Lugh was very peaceful, every clan would help one another and life was good. It was not a large world, but most people were nice to one another. One of the major clans at the time was DarkKnights, who formed alliances with other clans, hosted events, and had a goal of gearing all people on the server through their shop. But like many clans from that time (Frostmen, Wasted, etc. ), they did not last. 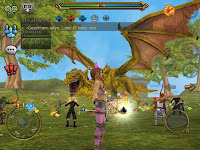 Celtic Heroes v2 Lugh, before the Otherworld, was once a server much like Epona; No dominant clan, no ksing, no clan wars, no lock battles, and all clans worked together on bosses. Dicing did not exist in v2, so the group that did the most damage to the boss would get the drops and could do what they liked with them (share with clan, or selling outside clan). Shadowkrar was usually in the lock group, and he would usually make decisions about the drops since his words carried a lot of weight. There were many separate clans, one of such being Aftermath in 2012. In this time, the clan Ancients was created by Toycat. It was a clan for higher level players, and a natural extension of his own clan Phoenix. Ancients, and eventually TheHobnobbers, were populated by former members of Redbranch. Ancients' chieftain was originally a toon shared between the clan generals. From Summer 2012 into 2013, Redbranch, Ancients and Berzerkers were the main clans operating in Stonevale and the Otherworld. But all through that time competition was friendly, and there was cooperation across clan lines. Drops were given to a DM after the fight where there would be rolled for. ELITES and Syndicate were also formed in this time, but they did not have as many members and so did not leave a large mark on Lugh history. Syndicate started out as a clan with a bad reputation. They were hated by a lot of players for kill stealing bosses, and running away with drops that weren't theirs. They eventually cleaned up their act, and gained some respectability. 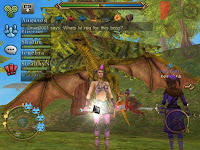 CelticPlmps was also a clan of note, although they focused on having fun and not leveling. All were included in boss kills no matter the clan tag, as the entire server had rules agreed upon in the forums so that all clans could exist harmoniously. 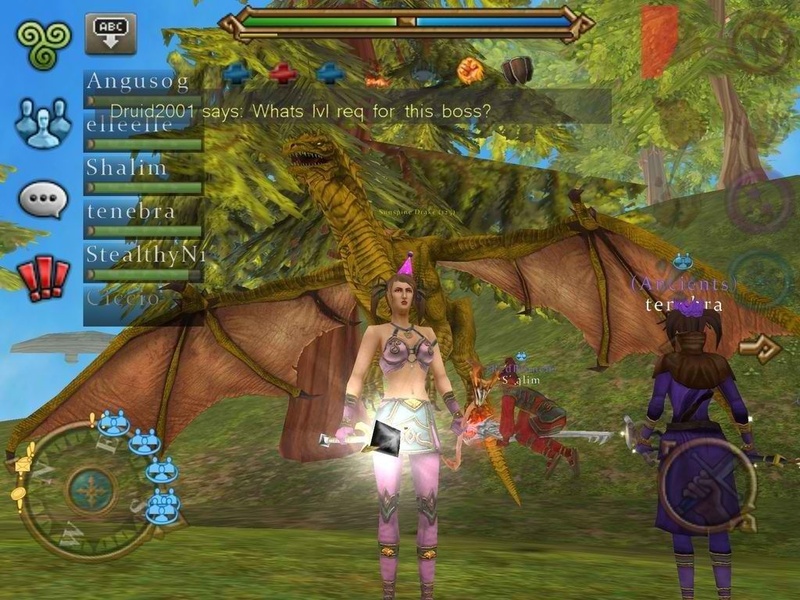 September 2012 saw Lugh cooperatively kill Aggragoth, and as the server grew stronger, the competition grew more fierce. During late 2012/early 2013 there were many scammers on Lugh, who bragged on the forums about their gains, which resulted in many locked topics. The locked topics continued into February 2013 when Samkhan got a temporary forum ban for fighting the moderators on the new forum "naming and shaming" rules. Ancients and Berzerkers continued well into the v4 Carrowmore update. During this time all the clans on Lugh banded together to cooperatively kill Hrungnir on August 31, 2013, Mordris on January 3, 2014, and Necromancer on October 8, 2014. It took a lot of communication and diplomacy using the forums to set up rules and procedures to cooperate on end game bosses, but all Lugh clans worked in harmony to kill them. 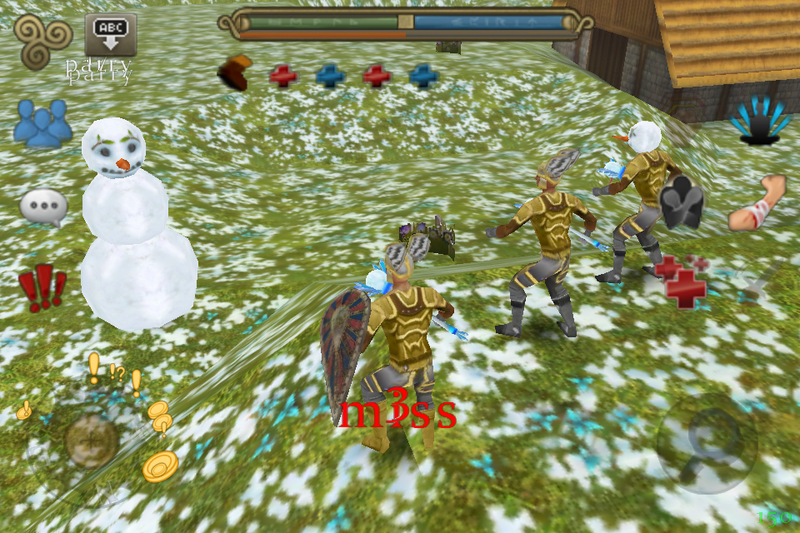 But despite this peace there was some sparing with some of the lesser clans, namely Ancients and Elixir. Through it all, the goal of Ancients was not to create a dominant clan, but to cooperate with other clans and help people out for the good of the server. TheHobnobbers (created November 2013 by Telsm, later chief was reytch) started out as a group of friends and real life family members playing together. They were known as such a friendly clan that people wanted to join them, and their numbers swelled with players of all levels. Even then, they were still a small clan of close friends. Alliance was created like many of the other of the other clans on Lugh in Spring 2014. They were composed of people from all the clans of Lugh, and worked together with everyone in harmony. The chief of Alliance became inactive, and passed the chieftain role to Axon. During this time Alliance still worked in harmony with the other clans of Lugh, and although drops were distributed mostly drama free in and out of clan by rolling, there came a time where the Alliance leaders became tired of this. The main reason was very active people could simply lose a drop they are looking for for months to someone just logging in once in a while for a raid boss by rolling. Axon and his generals decided to take the clan in a new direction. Alliance leaders decided that to grow in power, they needed to keep drops in clan and not distribute them by a random roll. Instead they began to make themselves stronger by primarily grouping only clan members, recruiting members from all over Lugh to grow in size, and using a merit-based system for distributing drops. TheHobnobbers never wanted to be a rival clan, but that role was thrust upon them as Alliance grew and took dominance of the server. As Alliance became dominant, many Ancients members quit playing. Tensions grew between Alliance and TheHobnobbers as Alliance grew in power, around February 2015. 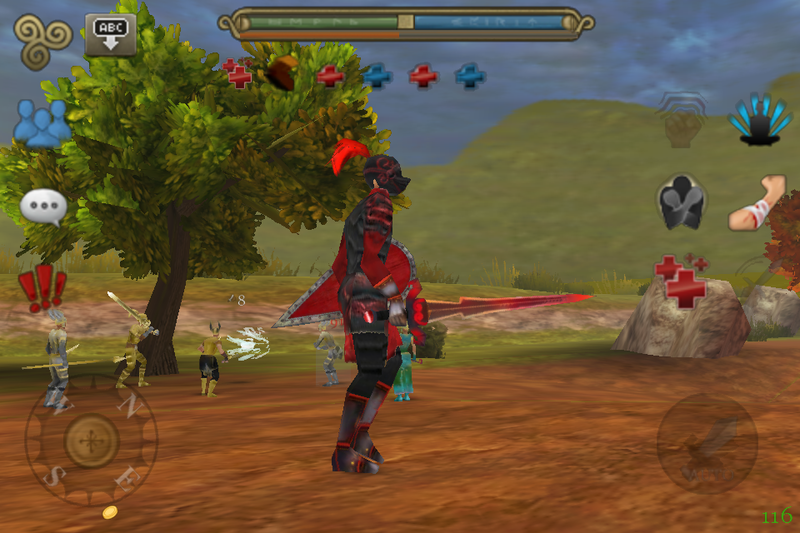 War was declared between the two clans, and many battles were fought in the arena and over bosses. But the clans continued to cooperate on raid bosses, dicing for the drops between those who attended. That was until the other clans started disrespecting Alliance as they became more powerful than the other clans. So Alliance voted on doing all bosses only as a clan (June 2015), which increased the tension on Lugh. When the dust settled, Alliance was victorious. They were now strongest on the server as new members rallied to their cause, swelling their ranks even further. However, the world was now split into "Pro-Alliance" and "Anti-Alliance" groups. At this time, Alliance was strong but still not considered "dominant" on the server. Many people did not like what Alliance had done to the world, and created their own clans to fight against them. The world was splintered into many clans that opposed Alliance. Virus was created (June 2015) to counter Alliance, to keep them from doing bosses without calling other clans. This worked for a while, until Alliance grew even stronger and all non-Alliance people couldn't keep up. Virus disbanded shortly after it was created because they were switching Mordris drops; taking other lower drops from previous Mordris battles and claiming that that they dropped from the current one while keeping the better drops. This affected all clans and Virus fell apart because of it. At this point, Alliance grained even more members and was now considered the dominant clan, and took on a dominant clan mentality in how it operated. Clan Independent was made to make communication better between all the Clans Lugh still had left, so they could work better with each other. They would use this union to call each other for bosses, and help each other out with drops. They were not created specifically to combat Alliance. They would continue may of the old rules of Lugh; cooperating on raid bosses and rolling on drops for participants, but they would bank quest armor boss items and give them to the most deserving players. At creation, the chieftain role was a shared bank character. People want to be rewarded for their hard work, something that could not happen in a clan where drops were being diced. The "Free Lugh" mentality is a term coined long ago that means everyone gets to do what they want in the game, and it doesn't matter what clan you are in. Everything will be done together, and if you are present at a fight, you will have the opportunity to roll for a drop. At creation, Independent operated using the "Free Lugh" rules, but things had to change in Independent so they could survive. After many hours of talks and guidance from Tobiuslowe, they started to form an ordered clan with rules (written by Tobiuslowe), with Perkamentus as one of the Generals. They stopped dicing for raid boss drops, and focused on gearing their own members, not grouping out of clan players. There were also rules against abusing and griefing Alliance members. Not all players were content in Independent. elleelle contested that there were a select few people in the clan manipulating everyone to their own benefit. During a dispute, ellelle deleted the chieftain bank toon, and for that was booted from the clan. After a reset Perkamentus was suddenly Chieftain, and all Generals decided to keep him as Chief. 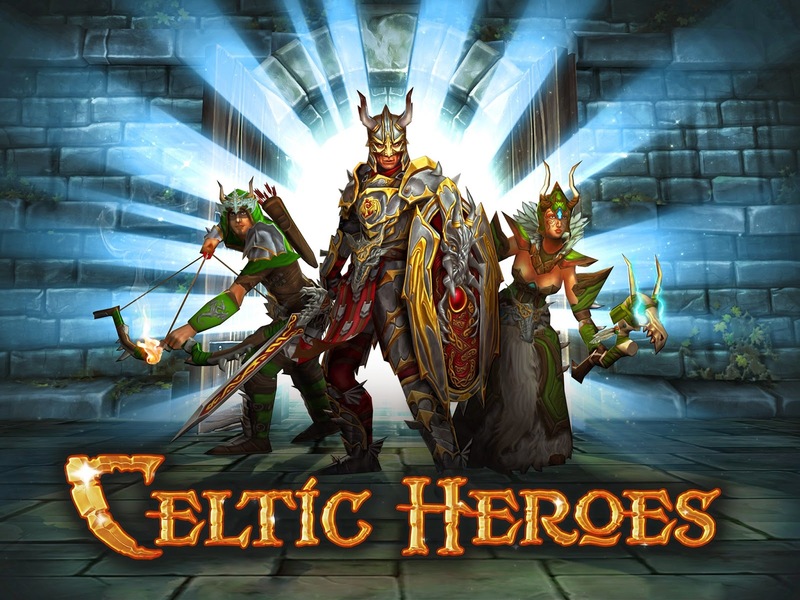 More drama hit Independnet when clan member Ghostlyblaze on the Celtic Heroes forums accused elleelle and o8o of rolling for drops on each toon that they brought to a fight. After two weeks, and a talk from Independent generals, Ghostlyblaze declined to take the post down, so o8o started taking her characters out of the clan one by one. Then came the "Yellow Crown Incident." During a Snorri fight, a yellow crown dropped to o8o's clanless rogue alt (8ball), which she gave to what she determined was the most deserving ranger, elleelle; who was still booted from Independent. o8o's reason was that elleelle had contributed many crowns to Independent from her clan's bank when Ambrosia merged with Independent. During the fallout of that incident, o8o's other three high level toons were booted from Independent Other high level players followed her, causing a large blow to Independent. Another blow was that o8o started to grief Independent players, making it hard to do bosses. Due to this drama, more people left to Alliance, and chieftain Perkamentus followed his best friend Istael to Alliance, giving the chief position to SpaceCabbage. Many other players went inactive as a result as well. Currently, Alliance is the dominant clan on Lugh. The few "Anti-Alliance" that exist and are active are currently in clans Independent and the clan Lugh. Redbranch exists as well, but with not many members however it works closely with small clans and Independent. Independent has taken on a new mentality similar to Alliance, where they are focusing on doing bosses as a clan, and gearing their clan members. This is done for player retention and recruitment. Although there is competition between the clans at bosses, griefing has stopped, abuse is in decline, lock battles are respectful, and the clan leaders can talk to each other. However, Lugh is forever changed because Alliance is now the dominant clan on the server, and boss drops are not distributed outside the clan by random rolls any longer. lol fun times in lugh!! BESERKERS: Welcome to a real clan. Hey Lugh, been awhile... What happened? Possible solutions for the war?